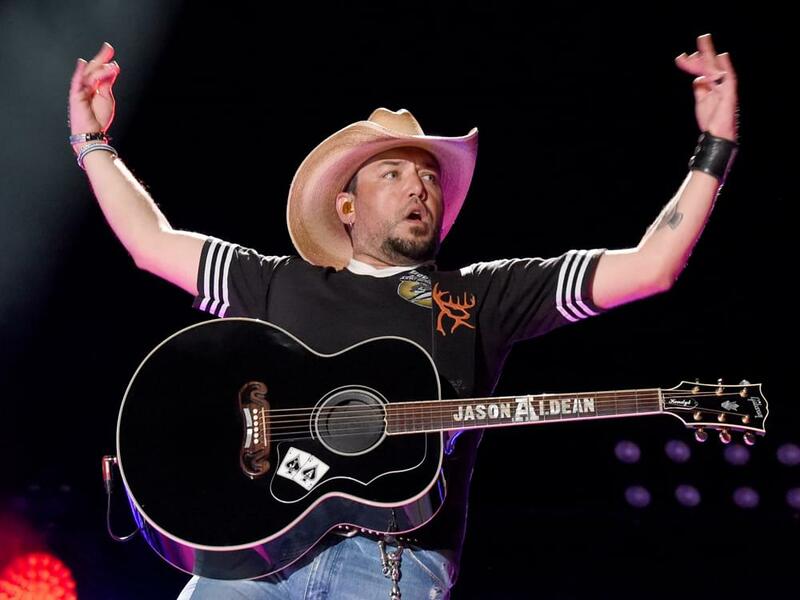 Growing up in Georgia, Jason Aldean was inspired by the sounds of everyone from the Allman Brothers and Alabama to Ronnie Milsap and Otis Redding. For his eighth studio album, Rearview Town, which dropped on April 13, the reigning ACM Entertainer of the Year says he put some of those influences to use by revisiting past projects from his favorite artists. Jason will gear up for more dates of his High Noon Neon Tour with Luke Combs and Lauren Alaina on July 13. The 30-plus-date tour kicked off in May with stops in Kansas City, St. Louis, Chicago and more.